So as some of you may know I have started coaching beach a little bit more seriously. Ben Vaught asked me a year ago to help him as a player (Read the Ben Vaught Project) and now for the last month I have been helping him and his partner Branden Clemens. As individuals or as a team I feel they have allot of talent at the young ages of 21 and 23. My goal is that they represent the United States in the 2028 Olympics. In this post I will share part of our coaching journey together towards our self-ideal and what the self-ideal is as a team and individuals. This article discusses advanced techniques and ideas as it relates to coaching beach volleyball. 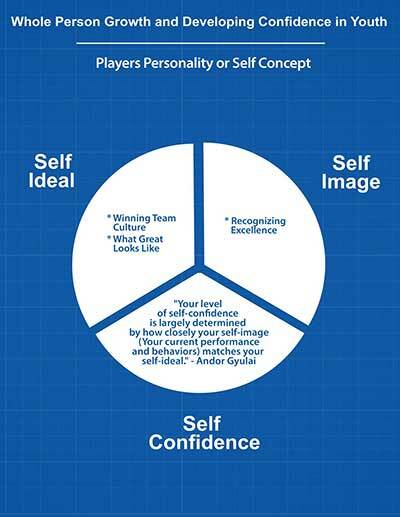 The starting point for me for any individual or team is the self-ideal. When on the court playing volleyball, we refer to this and the Volleyball1on1 Beach Volleyball Playing Culture of “What Great Looks Like!” ® . We divide the net into 5 locations on offense – Outside Front, Middle Front, Middle Middle, Middle Back, Outside Back. The most effective locations to attack from on a good pass is: Middle Middle, Outside Front and finally Outside Back in that order. We run 3 regular sets: Outside, Middle, Up and down. We run 6 play sets: Green – Fast Outside, Blue – Up and Down Front Two in the middle, White – Back Up and Down Two, Red – Fast Outside Back Set, Black – Fake White for a Blue, and finally a Go – A Lob inside set 5-7 feet inside the pin like a 3-2 indoor just a little higher. Our most effective attack is a White set in the middle meaning a back 2. (I will review why this is the most effective set next week and discuss the ideas of “Implicit Guidance,” and OOA relative to the OODA Loop so that players can speed up the loop by taking out the decision process. When I refer to a 2 set it is higher than a regular 2 set indoor. It can be 4-10 feet above the net. Most importantly is the location and that the ball is set in more of an up and down trajectory. We have a different game plan offense for the pin attack vs. a middle attack. This means our shots and goals are different based upon the attack location along the net. The setters look to attack on two on: short serves, when the blocker is serving or when their partner is running a back set, including a white or red. Hitting is the most effective way to sideout as most players at the highest level kill a dug ball only 10-15% of the time. Our goal is to force “Hicks Law” and “Response Complexity,” on offense by running plays and attacking on two. Our top goal is to force “Hicks Law” on defense thus slowing the attacker’s reaction time in the OODA Loop. Only 10-15% of hard driven attacks are converted for points so as a result our goal is to try block most hard driven ball attacks and dig most shots. We are more block hits and dig shots focused as a team and individually. This means our blocker and defender are positioned more middle in the court. We have 10 blocking calls to force “Hicks Law” and play into our game plan defense of blocking hard driven balls while digging shots. Angle – 2 Fingers Spread. Angle to Line – 3 Fingers. Line to Angle – 4 Fingers. Seam – 2 fingers together. Angle with Line Defender Waiting – 2 Fingers Spread with Pinkie. Double Line – Index and Pinkie Finger. Double Angle – Vulcan Sign. Line to Ball – Hang Ten Sign. Line is the standard and always the assumed. Angle pull – Cross your fingers after you give the call. Fake angle to line pull – Move your thumb out a fist like the “bic” set indoor. On Defense we are trying to control the hitters attack locations on the net to Outside Front, Middle Front or Middle Middle. We control this with our serve. Our serve sets up our defense. Therefore it is important to serve tough and in. Our goal is not aces, rather it is spin on the serve thus often forcing the set tight or off on a bump pass. On a bad pass or set off the net where we still block we revert to a line call. The more middle middle the set location along the net the more we tend to block angle. Now please keep in mind this is the foundation of “What Great Looks Like!” ® Obviously, there are other parts that I will reveal as I go through this article and the coaching videos. * It’s Reuben on Simon! Sorry! Branden needed to work on passing tight and in-front of his inside leg meaning his right leg. Branden needed to work on his blocking technique. Branden needed to work on his mindset when blocking. Branden needed to work on his attacking technique and kill percentage. Ben needed to pass lower. Ben needed to improve his defense. As a team we needed to improve “Game Plan Defense. We have developed a serve that is in and tougher for Branden. This serve plays into his unique technique plus allows him to conserve energy. Please note in the video Ben had a slight injury that I was not aware of and therefore he was not serving as expected. We have worked very hard on Ben’s serving in the last year and it has become an important part of his game. We worked on Branden setting technique. We got him through the 4 stages of learning and now he is in stage 4 – unconscious competence setting “Hittable Balls.” The problem when we started was that he started with his hands too high with the result that he went down and up verse just: “Catch, Cushion, Release.” This small change plus 10 minutes a day setting while on the couch watching TV for the last month has had had a huge impact on his consistency. Additionally, Ben passing a lower ball has helped Branden setting. Passing tight by Branden has become a major self-ideal. “That which is focused on and measure is often improved!” This has had a big impact on Branden sideout percentage. Branden blocking needed major work. His technique was very poor. I taught him the step close blocking technique plus we are working on his starting position, hands and his moves. We have made allot of progress however we still have a very long way to go in my opinion. We have worked very hard on Branden mindset when blocking. This means more “Grabbing” and going after the ball. Also fronting the hitter which we are still really focused on. The most difficult part is having Branden keep an aggressive blocking mindset all match long or when he is not playing well. Branden attacking technique is a major work in progress. This includes: 4-step approach, a better step close vs. current bad hop in to attack, better technique with the non-hitting arm during the arm-swing, opening the hips, and creating better angles on the approach. Fortunately I am an expert in the area of “Volleyball Spiking Technique,” but we are breaking years of bad habit. Some of the exercise I have Branden doing include a 2-step and 3-step superman onto a box. The goal being step-close vs. hop step. We have worked on Bens passing. In my opinion as a coach there is no need to ever pass higher than the height of the antenna. This has been a shift in Ben self-ideal on passing. Watching the ball “long” and “deep” to slow it down (#8 OODA Loop Blue Print). The more tricky the attacker the less we read and the more we watch the ball “long” and “deep”. Response Complexity (#23 OODA Loop Blue Print)(A detailed description of many of these ideas can be found in my recently published OODA Loop Paper) I know this seems like a lot and it is! The main goal is loaded stretch step on contact too neutral body position. Team Game Plan Offense – This involves us running plays and improving the offense individually and as a team. We are starting to run plays and improve the offense. Team Game Plan Defense – This involves running different defensive plays as a team. The most important part currently is a complete shift in mindset to trying to block most hard driven balls by Branden and Ben being responsible for digging all shots. I will try and post more information as we take this journey together. Professional level team and international programs, if you would like help please contact me!